Ann Sophie Dürmeyer, o símplemente Ann Sophie nació en Londres el 1 de Septiembre de 1990 aunque es de padres alemanes. 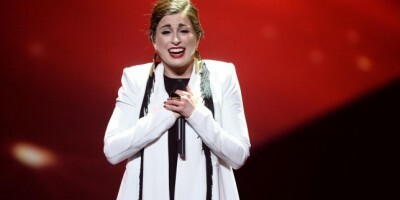 Es cantante y compositora y representa a Alemania en la 60 edición del Festival de Eurovisión tras quedar en segundo lugar en la preselección alemana Unser Song Für Österreich después de que renunciara del ganador Andreas Kümmer. La canción que interpretó se titulaba Black smoke. De pequeña, se trasladó con su familia de vuelta a Alemania donde terminaron asentados en Hamburgo. Empezó sus estudios de Ballet. Se mudó durante unos a ños a Nueva York donde siempre soñó con completar su formación musical. En 2011 empezó su carrera musical. Lanzó su primer trabajo discográfico titulado "Time" y poco tiempo después, su primer vídeo musical. Ann Sophie Dürmeyer, or better know as Ann Sophie, was born in London on September 1st of 1990 but descendent of German parents. She is a singer and songwriter and she will represent Germany in the 60th edition of Eurovision Song Contest after finish in the second place in the German preselection "Unser Song Für Österreich" due to the renounce of the winner Andreas Kümmer. The song that she performed was titled Black smoke. Since early age, she moved back with her family to Germany, where they finished in Hambourg. She started to study ballet. She was for a time in NY that it was where she always had dreamt completing her musical formation. In 2011 she started her musical career. She launched her first work titled "Time" and a few time after, she recorded her first musical video.